Can you believe it’s been just over two years since I shared my first “No Dumb Questions” video back in November 2016? Where did the time go??? Just like my NDQ two-year anniversary, retirement can sneak up on you fast. At least you get to start drawing on your pension benefits … or you may have to, depending on how you look at it. Today, we’ll talk about the “Canadians abroad” conundrum. In a follow-up post, I’ll cover pension issues related to working past retirement. To work both into your schedule, be sure to subscribe to my channel, or connect with me on LinkedIn! But what if you’ve been gallivanting around the globe, earning a living in the U.S., the U.K. or Uruguay. Then what? Fortunately, you may still be able to draw benefits. Unfortunately, making sure you can is likely to require extra planning and paperwork. Before we talk about that, let’s review the two types of pension benefits available. Old Age Security (OAS) – OAS is a monthly payment available to Canadian citizens and residents. Because it’s meant as more of a safety net than a retirement plan, you’re eligible for it whether or not you have an employment history. OAS benefits currently kick in at age 65. You can postpone your own start-date for collecting them by up to five years. However, OAS benefits start to disappear if your annual retirement income is above $76,000, or if you have not lived in Canada long enough. A retirement Income above about $125,000 will eliminate this benefit completely. The Canada Pension Plan (CPP) – To receive CPP benefits, you’ll need to have paid into the system while working in Canada … or its equivalent. We’ll cover what “equivalent” means in a moment. How much CPP retirement pension you receive mostly depends on how much you’ve contributed, for how long; and at what age you apply for your benefits. For more details, you can revisit my previous video, Maximizing Your CPP Benefits. So, what happens to your pension if you’ve spent part of your career working abroad? The main criteria for whether, and how much you’ll be able to draw in CPP and OAS benefits depends on two main factors: location and time. Canada has reciprocal “social security agreements” with many other countries, but not all of them. Plus, the rules and requirements vary from one country to the next, so you’ll want to take a close look at the agreements that apply to you. If an agreement is in place and all other criteria are met, the income you earned in another country may count toward your CPP benefits as if you earned it in Canada. Likewise, the time you spent in that country, contributing to its social security program, may count at least in part toward your OAS benefits. 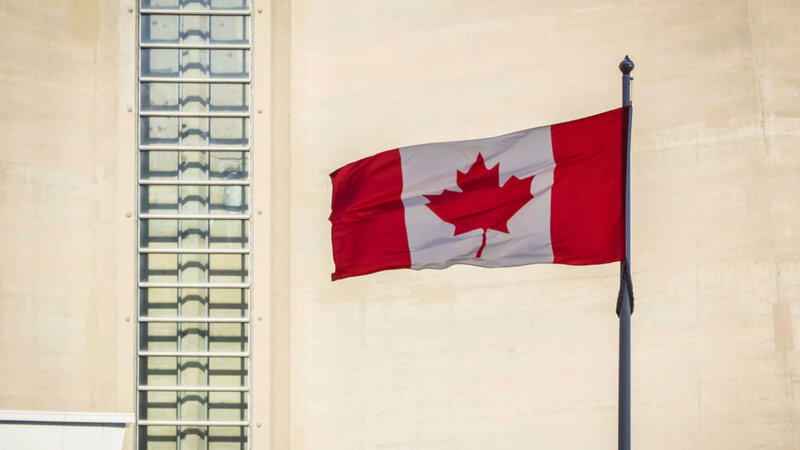 The reverse is often true as well: If you lived in Canada for a while, but retire to a country we’re in agreement with, your Canadian income and residency may count toward their social security programs. Next, there’s the time factor. As far as your OAS benefits are concerned, you should be able to receive full OAS benefits, as long as you’ve lived at least 40 years in Canada after age 18. That is, even if you’ve spent some time abroad, you should be good to go … subject to any other requirements involved. If you’ve not got those 40 years under your belt, it gets a little more complicated. You may still qualify for partial or even full OAS benefits, but you’ll want to read the fine print. How many years you’ve been abroad – as well as when and where – can also factor into your CPP benefits. If you’ve paid into a foreign pension plan in a country with whom we have a social security agreement, those contributions may count toward your CPP benefits when you retire. … and vice versa if you lived for a period in Canada but retire abroad. Again, it’s well worth exploring how the specifics actually apply to you. You may still proceed as planned with respect to your travels, but it’s best to head out with your eyes open! By the way, if you work outside of Canada, for a Canadian employer that may still count as if you’ve been a resident all along. Again, read the fine print. And plan ahead, so you don’t accidentally skip any small, but important steps that could come back to haunt your happy retirement. As I mentioned earlier, there’s another no-dumb, pension-planning question I hear all the time: What if you plan to keep working in retirement? The extra income can add a nice bump to your spending power. But what if it puts too big of a dent in your pension payouts? I’m tackling that next, so subscribe to my YouTube channel or connect with me on LinkedIn, and I’ll let you know when that’s available.